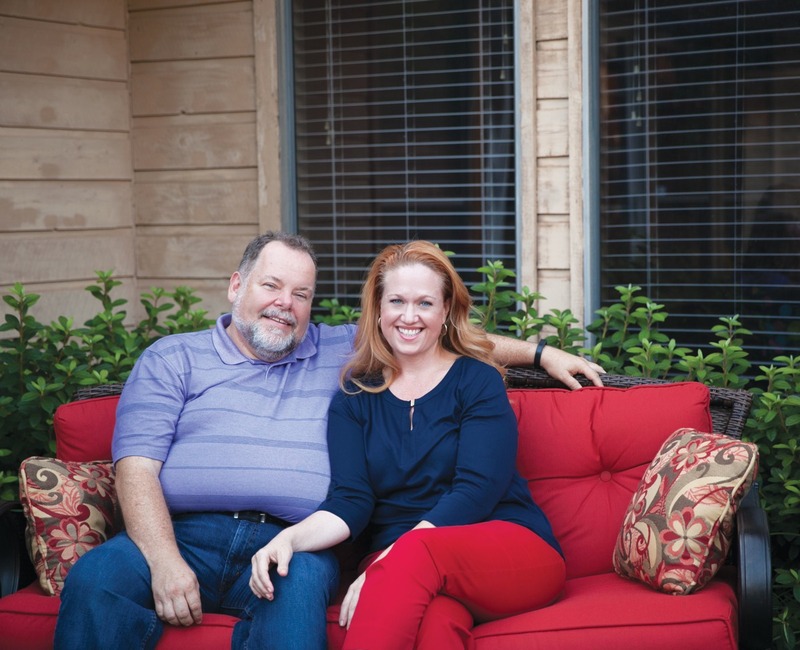 SHARI: “My husband, Bobby, and I met at a pub on Greenville Avenue,” said Shari Johns. “We fell in love instantly and were inseparable after that. We lived together for about six years and then got married. “Our marriage spiraled downward following two miscarriages and a very scary ectopic pregnancy. I wondered if all that pain was punishment for a previous abortion and rebellion earlier in my life. BOBBY: “My parents divorced after my father revealed he struggled with homosexuality,” said Bobby Johns. “My mom tried a different spirituality each week, from Baptist to Unitarian. I didn’t find anyone who could answer my questions about faith in an intellectually honest way, so I ran from God. “By the time I met Shari, I’d been married and divorced. I’d taken part in an abortion, so I guess I’ve broken all Ten Commandments. Passivity and lack of leadership seeped into my marriage with Shari. Though I’d always been a scoffer, I didn’t make fun of Shari when she started coming to Watermark. Her life-threatening ectopic pregnancy made me see how little control I really had. Our marriage was dying, and the most logical conclusion seemed like divorce. I had to do something, so I decided to join my wife at church. “What drove me to start asking questions about God was my family. Was I capable of being a good husband, father and man? On my first Sunday at Watermark, the speaker talked about marriage in ways I had never heard before. After a lot of searching, I realized that I needed something bigger than myself to become the husband and dad I needed to be. BOBBY: “My favorite book in the Bible became James because it was all about ‘less talk and more walk’ with Christ. I was raised to think it was not what I did but how things looked that mattered. As I read James, I began to see the value in authenticity with Shari and with others. SHARI: “Now, Bobby and I are leaders in Watermark’s marriage ministry. The last time we spoke at re|engage, we showed the couples a photo from our family Christmas card. Our two sons, Bobby and I are dressed as The Incredibles. We’re all in costumes, and Bobby is in tights, so it got a big laugh. That photo really encompasses who we are as a family now. We are joyful, happy and silly, and we don’t take ourselves too seriously. BOBBY: “There’s nobody more surprised than me about who I’ve become in Christ. Shari and I now serve couples who come to re|engage just like we did – hanging by a thread. I tell them that it took me 40-plus years to realize that God loves me more than anyone has loved me. God’s love changed me, as well as my relationships with my wife, sons and those I work with. What He wanted was so much better than I ever could have planned.” RE|ENGAGE Wednesdays • 6:30–8:30 pm • The Loft Whether your marriage needs to be reignited or is in need of complete resurrection, re|engage is a safe place for couples to move toward oneness through stories of grace, teaching and small groups. No registration is required to attend. Kids Ministry is available. For more information, visit the Welcome Center or contact Bethany Phillip at bphillip@watermark.org. The post I Had A Hard Heart appeared first on Watermark Community Church Blog.